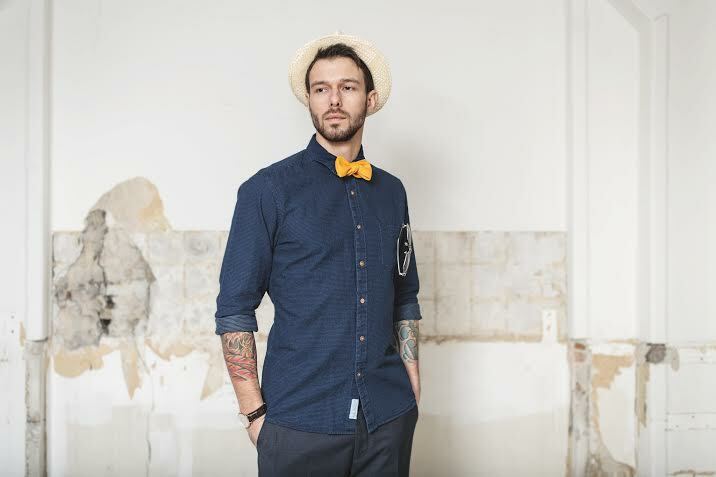 Robinson & Dapper – Modern Design Meets Heritage Fabrics Robinson & Dapper is a mens accessories brand based in Denmark, creating luxury self-tie bow ties, neck ties and pocket squares, handmade in 100% Scottish wool. Founded in 2013 by Scottish owner/designer, Sarah Robinson, their concept is to combine heritage fabrics with modern design, whilst placing strong focus on quality and craftsmanship. 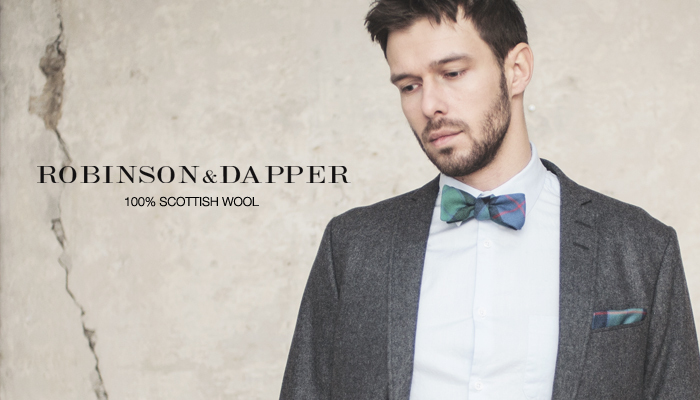 Robinson & Dapper source their pure Scottish wool fabrics from some of the most historic and reputable mill companies in Scotland, which are then shipped over to their workshop in Denmark, where all of their accessories are designed and made. They have chosen each mill for their speciality, whether it’s lambswool, tweed or twill. 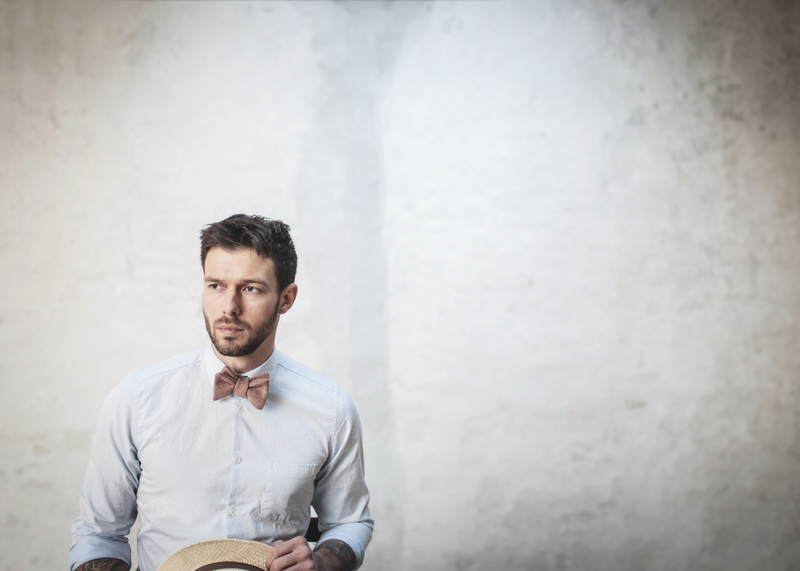 Whilst incorporating a variety of colours, weaves and weights of wool, many of which are not usually seen in neckwear, they also use more classic textiles, making their accessories are suitable for both formal and casual wear. 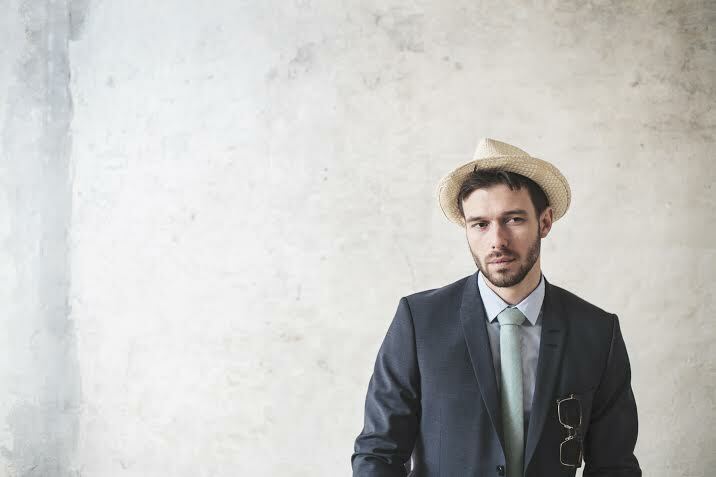 Attention to detail is evident in every aspect of Robinson & Dapper’s accessories. Each item is presented in one of their luxury gift boxes, which are made with recycled materials, in the UK. 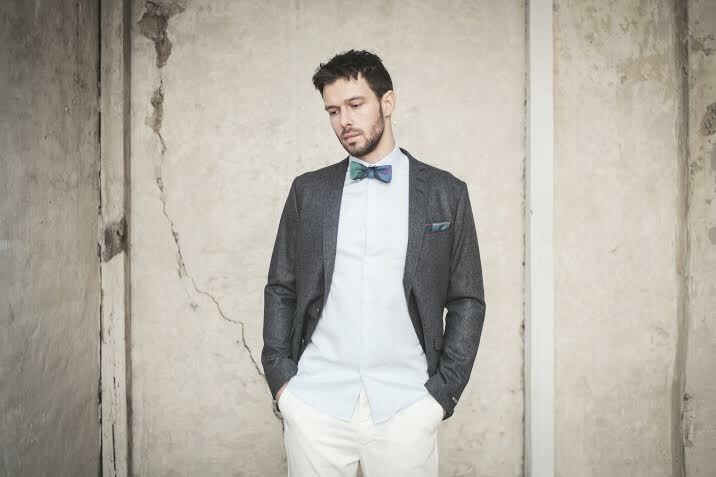 Their self-tie bow ties are fitted with metal fastenings to make them fully adjustable. Their neck ties are available in a variety of widths so that customers can choose their preference style and all pocket squares feature carefully handrolled hems. 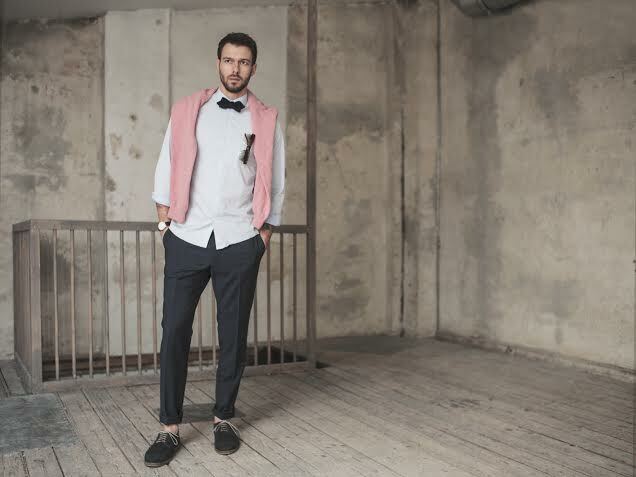 The brand’s latest collection, for Spring/Summer 2014, incorporates a fresh blend of pastel shades, stylish plaids and Supersoft lambswool fabrics to compliment their classic designs. Mature Style: Sophisticated inspiration for the young and old.